What if Humans are the aliens we’ve been looking for all along? According to experts, humans were most likely crossbred with another species, perhaps from the star system Alpha Centauri –which is one of the closest solar systems to Earth—in the distant past, giving birth to modern humans. Tell Al-Uhaymir modern-day Iraq, where the ancient Sumerian city of Kish used to be, archaeologists found one of the oldest ancient documents on the planet, the tablet of Kish which is believed to date back to the year 3500 BC.The Sumerian king list states that Kish was the first city to have kings following the deluge, beginning with Jushur.Jushur’s successor is called Kullassina-bel, but this is actually a sentence in Akkadian meaning “All of them were lord”. Thus, some scholars have suggested that this may have been intended to signify the absence of a central authority in Kish for a time. This ancient document is believed to precede the cuneiform writing of the Sumerians, and the Egyptian hieroglyphs for almost one hundred years. Developing the ability to express thoughts through written language is one of the first ways in which man differed from the animal kingdom.Five thousand years since, humans have developed electricity, divided the atom, developed computers, and led man to the moon. We have achieved things that other species have still not. No other species on earth can attribute such unique achievements in such a short period of time. Interestingly, compared to other species of the earth, our ‘evolution’ is relatively short. It has been a short period of time, most likely a few million years since the first hominid walked on Earth. Precisely this is one of the biggest scientific questions of all times: Why have only our species emerged to this truly advanced technological intelligence?Evidently, there is nothing more advanced than humans on planet Earth. While there are different ‘intelligent’ species on Earth, none of them makes use of technology like us. Just imagine for a second, if for some reason, mankind had to return to the jungle, and survive there. Many experts agree that most of them would not survive for a very long period of time.Many scientists agree that humans, in addition to their intelligence, are not very capable to occupy a wide range of environments. In other words, we are very limited when it comes to our planet. In addition to our fascinating intelligence, biologists have also noticed contrasts between human physiology and that of other animals on earth. Many scientists agree that compared to other species on earth, humans are rather strange. For example, a baby horse when born is able to walk and function almost independently, but this a human baby cannot do, which makes us quite helpless. In other words, we are born before being neurologically ready for life. Many researchers agree that there are many vulnerabilities that accompany our intelligence.Humans on earth eventually became bipeds, which freed up our superior extremities allowing us to manipulate objects, create tools and much more. But for all this, experts believe that our species has paid an expensive price. Lumbar pain a sign that according to many experts could tell us a lot about our species. Curiously, other animals on Earth do NOT have this problem. It’s as if only humans are affected by some of these problems. So what does all of this mean? According to one expert, it means that we are the aliens we’ve we been looking for all along. A new theory proposed by Dr. Ellis Silver states that there are several tell-tale signs present in the human race that suggest human beings did not evolve ALONGSIDE other lifeforms on Earth. The book called ‘Humans are not from Earth: a scientific evaluation of the evidence’ is basically a resume of theories for and mostly against man’s evolution on Earth. In the book, leading environmentalist and ecologist Dr. Ellis Silver goes through an evaluation of thirteen leading hypothesis and seventeen factors which suggest HUMANS ARE NOT FROM EARTH. Mankind is supposedly the most highly developed species on the planet, yet is surprisingly unsuited and ill-equipped for Earth’s environment: harmed by sunlight, a strong dislike for naturally occurring foods, ridiculously high rates of chronic disease, and more said Dr. Ellis in an interview. According to Dr. Ellis, humans might suffer from back pain because our species initially evolved on another planet with a lower gravity, adding to the mysteries, Dr. Ellis also indicates that it is strange that newborns have large heads and make it difficult for mothers to give birth, which can result in fatalities for both mother and child. So where do we come from? According to Dr. Ellis, Neanderthals were most likely crossbred with another species, perhaps from the star system Alpha Centauri –which is one of the closest solar systems to Earth— in the distant past, giving birth to modern humans. Dr. Ellis concludes that mankind did not evolve from that particular strain of life, but evolved elsewhere and was transported to Earth (as fully evolved Homo sapiens) between 60,000 and 200,000 years ago. Furthermore, as noted by Robert Sepher, according to modern DNA sequencing, it is demonstrated that humanity as we know it, isn’t just ONE single ‘race’ that descended from the same ancestor in Africa, but a hybridized species, with a far more enigmatic truth behind it all. Many questions have been raised in the discussion about Rh negative blood. If mankind did, in fact, evolve from a mutual ancient African ancestor, theories state that everyone’s blood would be compatible, but regrettably, this is not the case. This raises numerous questions that science alone has not been able to fully answer. Where did Rh-negative blood come from? And why is it that a Rh-negative mother carrying Rh positive children tries rejecting her own offspring? Is it possible that this can be explained by a rather controversial theory? 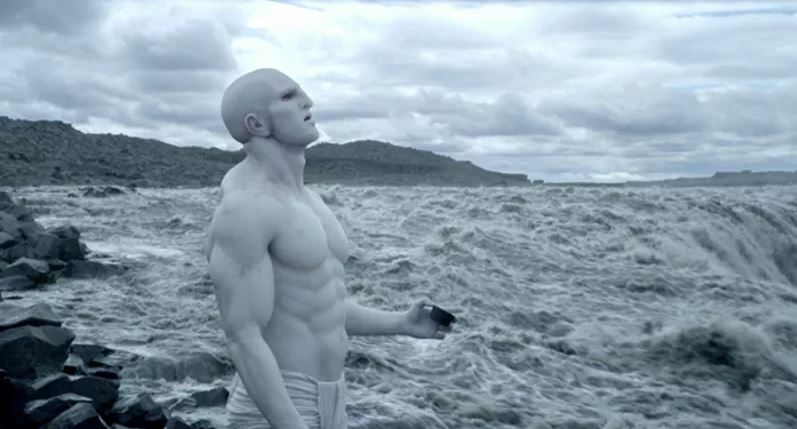 A theory which suggests that humanity isn’t in fact one race, but a hybridized species. The book was written by Robert Sepehr, Species with Amnesia: Our Forbidden History tells us more about the enigmatic blood type Rh-negative. Not only does Species with Amnesia suggest mankind is, in fact, a hybridized species, the author suggests that highly advanced civilizations have been on Earth before us, just to be destroyed by some great global catastrophe, as mysteriously, history tells us. FFS, then why do we share SO much genetic information with all the other species on this Earth? Why then, do we share a common ancestor? We even share DNA info with Trees. We are most definately a product of this planet. Now, is DNA a product of this planet? Was it brought here via panspermia? THAT is a worthy discussion. Finding out I was Hepatitis B-Genital herpes wasn’t easy But as time has passed, I have slowly come to terms with my Hepatitis B-Genital herpes, status and try to tackle it with a positive attitude. In mid-2012 I became quite ill. I developed persistent flu-like symptoms, headaches, a nagging cough and sores that wouldn’t heal. My skin felt as if it was crawling, my legs ached, I felt nauseous and lost weight. Then exhaustion hit. It was an indescribable tiredness and no matter how much I slept I never felt rested. In 2013 I was hospitalized when my CD4 count nosedived to 86 (Hepatitis B, Herpes-negative people have a CD4 count of between 700 and 1,000; a CD4 count of below 200 is considered dangerously low). It was a terrible time. There are lot to say about Dr Osasu but i can only mention few right now, this man is a very great, good and powerful Dr. of Osasu, all thanks to him for given me a second chance, if you are out there passing through any problem, you can contact him today on his email via: (drosasu25@gmail.com or whatsapp him now on +2347064365391), and i know that he will help you also.